Olympia FFA places at Section 9 Livestock Judging! 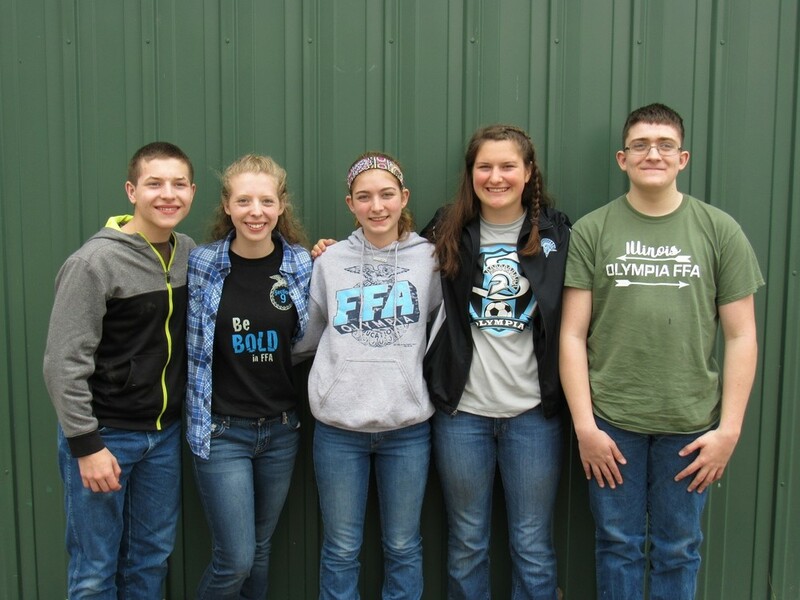 On Friday, April 13, Olympia FFA competed at Section 9 Livestock Judging, placing 3rd out of thirteen schools! The team consisted of five members; Dawson Banister, Josie Litwiller, Bailey Rogers, Cavit Schempp, and Molly Schempp. At the Livingston County fairgrounds in Pontiac, members judged eight classes; four live classes and four Expected Progeny Difference (EPD) paper classes. Olympia FFA practiced for the competition, by looking at classes of cattle, hogs, sheep, and goats, reviewing qualities of good and poor livestock, and judging EPD paper classes. Individual placing members were sophomore, Cavit Schempp (3rd place) and junior, Molly Schempp (6th place). Members look forward to practicing at the Lincoln Land Livestock Judging contest in Springfield on April 19th and being ready for the State FFA Contest on April 27th!